The comparatively small Nam Mang 3 dam, with an installed capacity of 40MW, caused an unprecedented protest by affected ethnic minorities, threatened to be displaced to make room for the reservoir. On November 22, 2002, some 40 villagers, armed with guns and sticks, marched to the construction site, urging contractors to stop the work and to inform villagers about the project, where they would be relocated and what kind of compensation they would receive . According to International Rivers , this was the first recorded villager-led protest against hydroelectric dams in Lao PDR, a sector experiencing enormous growth since the turn of the millennium ; much of it due to Thailand’s involvement as contracted importer of Lao produced hydroelectricity [3;4]. Based on a pre-feasibility study , construction of the dam began in late 2001, characterized by a lack of adequate impact assessments, non-transparent planning, finance and approval . Loans for the $63 million project were provided largely by Chinese Export-Import Bank (80%) and partly (20%) by Electricite du Laos (EdL) . Reports [1;4] estimated that around 2,745 people needed to be relocated from the catchment and reservoir area, while other 12,800 people upstream and downstream would be negatively affected through changing hydrological dynamics and related decline in fisheries. Located in the Phou Khao Khouy National Protected Area, the dam’s reservoir affects wildlife biodiversity, and additional transmission lines and access roads further fragment habitats, while providing entry points for illegal loggers . Apart from social and environmental impacts, also its economic viability was questioned, for which reason the World Bank, the International Monetary Fund, and the Asian Development Bank urged to stop the project, raising concerns regarding Lao PDRs’ increasing debt burden . Nevertheless, construction was completed in 2004. Since the beginning of project planning, affected villagers, mainly ethnic Hmong, were not informed about the construction, or about the social impact mitigation and compensation measures  and environmental Impact Assessments were completed only after construction was finished . The protesting villagers, demanding information and participation in impact mitigation, achieved to stop construction activities for a few days; however, they could not stop the project, driven by corporate and governmental interests, who responded by sending military units to the site to intimidate villagers . While this protest has marked an unprecedented event in people’s public engagement against hydropower projects in Lao PDR, it remains, so far, one of the few instances of public protest in a country where civil society is largely repressed. 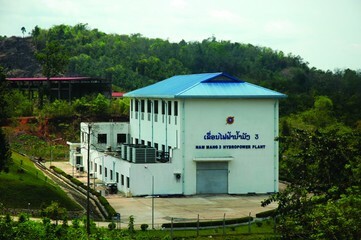 Project Details The Nam Mang 3 Hydropower plant is multi-purpose project; it produces electricity and supports irrigation . 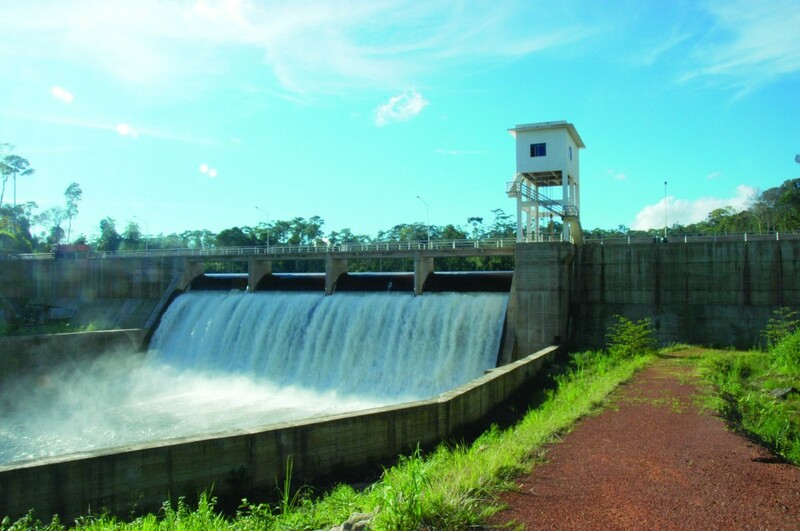 The dam has an installed capacity of up to 40MW, with an average annual production of 138 to 140 GWh/year . 95% of produced electricity is exported to Thailand . The reservoir size covers 1,000ha. The dam has a height of 28 m and a length of 150.9 m .
Investment size amounts to USD 63 million. Related loans come from the Export-Import Bank of China (80%) and from Electricite du Laos (20%) . The constructor company was China International Water and Electric Corporation (CWE) . The first feasibility study was conducted by the Asian Development Bank (ADB), which later on stepped back from the project . British consultants Resource Management & Research (RMR) was hired during project construction phase (2002) to prepare an environmental impact assessment, environmental management plan and a social action plan within less than 5 months; a task that, properly done, would require at least two years . The impact assessment identified serious concerns regarding the government’s capacity to handle the social and environmental impacts . Development of Alternatives Some villagers refused to be resettled, others were claiming adequate compensation . NGO International Rivers urged to stop the project , as well as international donors such as World Bank, IMF and Asian Development Bank pressured Lao PDR to stop the project due to economic reasons . Matthews, N., 2012. Water grabbing in the Mekong basin - An Analysis of the winners and losers of Thailand's hydropower development in Lao PDR. Water Alternatives 5(2), 392-411.